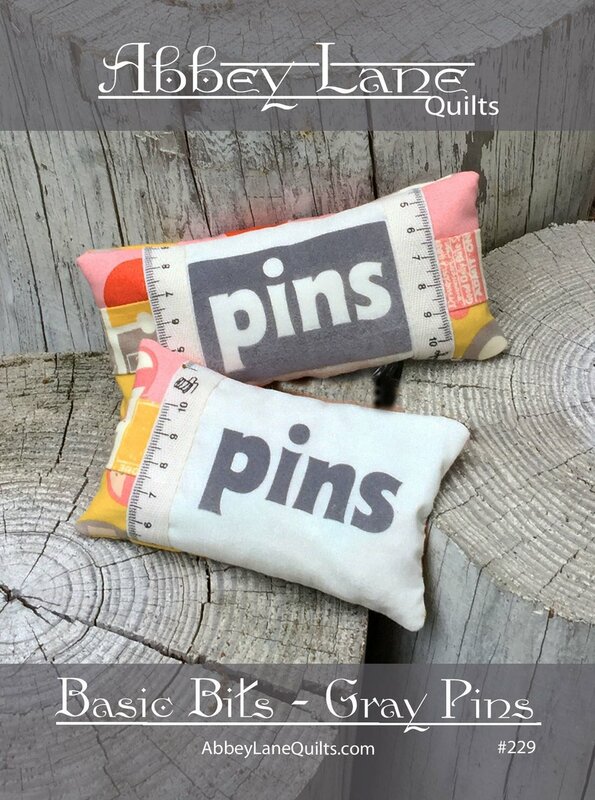 The pattern contains the instructions to make both of these cute little pin cushions and the GRAY Flocked Words and Measuring Tape Ribbon. You can never have too many pin cushions. They also make fun little gifts.